This public domain illustration is from an 1886 book called Sea and Land by J.W. Buel. 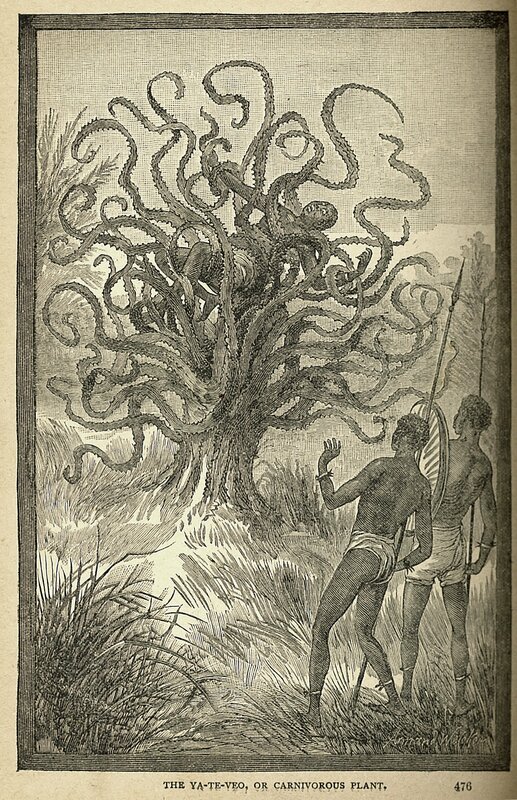 It depicts a person being consumed by the legendary Madagascan Man-Eating Tree. 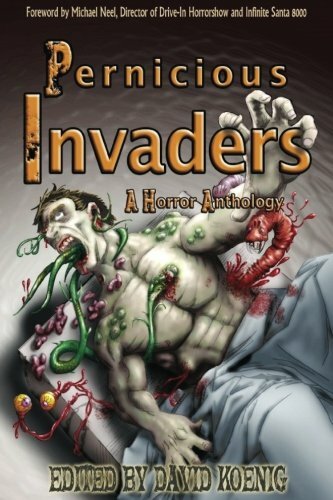 My short story, “Roots” is available in the anthology Pernicious Invaders from Great Old Ones Publishing! Posted on March 2, 2017, in Horror Stories, News, Short Stories and tagged Great Old Ones Publishing, horror anthologies - body horror, legends of madagascar, man eating madagascar tree, Pernicious Invaders, urban legends about man-eating trees. Bookmark the permalink. Leave a comment.